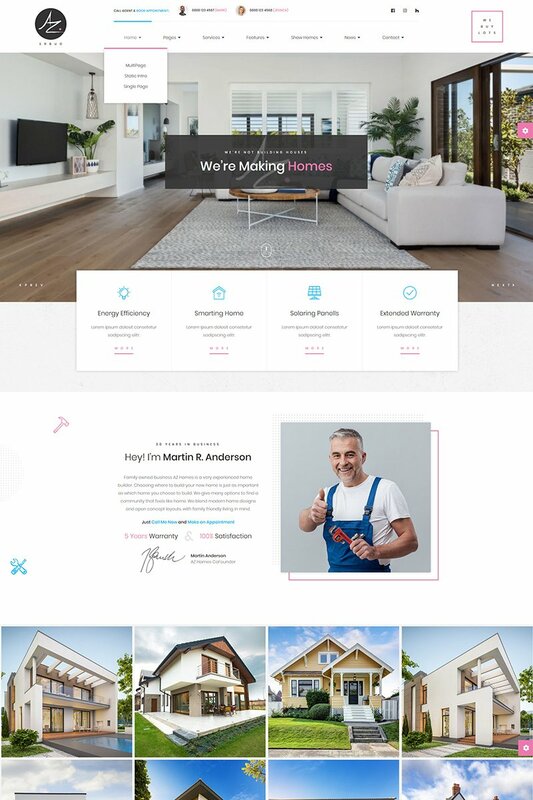 AZhomes website template is a stylish and functional theme aimed at local home builders and small constructions companies. The theme comes with 4 pre-made home pages and over 50 content block helping to create versatile layouts in no time. The theme has professional design and clean SEO friendly code based at Twitter Bootstrap framework. Great documentation and the best support team guarantee you'll get you project done hassle free and according to you expectations.